Taylor Sweitzer returns home after successfully skiing the last degree and becoming the youngest person ever to reach the North Pole. New Trier sophomore describes camping with the Northwest Passage on ice floes during an 8-day trek. 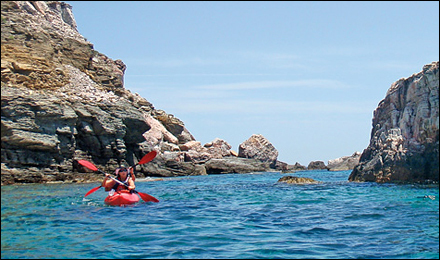 Northwest Passage's Sea kayaking vacation in the Greek Isles will recalibrate your definition of relaxation. 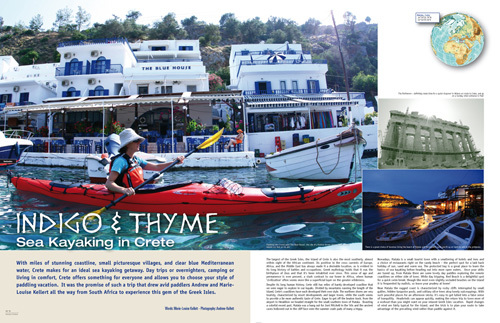 The Northwest Passage's Crete Kayaking Trip is featured in Paddle World Magazine. Adventure travel on the rise. Rick Sweitzer, the founder of Polar Explorers, is leading a group of 20 top-level executives on an adventure to 90 degrees North. Their mission? Adventure and Awareness. Rick Sweitzer of the Polar Explorers explains how travel to the North Pole is gaining popularity. The Northwest Passage is named one of National Geographic's "Best Adventure Travel Companies on Earth". Northwest Passage offers kayaking trips around the Greek Islands for people in their 20s to their 70s.